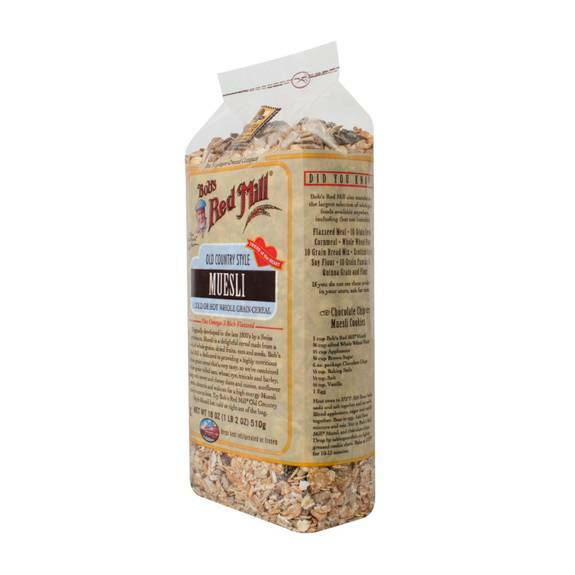 Bobâ€™s Red Mill, Cereal, Old Country Style Muesli Is Wonderfully Tasty And Nourishing! This Product Is Full Of Wholesome Goodness And Irresistible Flavor. Enjoy Bobâ€™s Red Mill, Cereal, Old Country Style Muesli With Dried Fruits, Nuts And Seeds, Which Bring Sweetness And A Pleasant Crunch. This Product Is Versatile And Can Also Be Eaten Right Out Of The Bag. Each Â¼ Cup Serving Contains 140 Calories And 4 G. Protein. Every Bag Of Bobâ€™s Red Mill, Cereal, Old Country Style Muesli Holds 18 Oz. Of Product. Please See Nutritional Facts Panel For Possible Allergens.